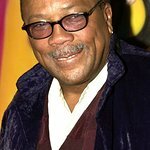 Quincy Jones and Lionel Richie have revamped the song “We Are the World,” originally recorded 25 years ago. More than 75 big-name stars got together on February 2nd at Jim Henson Studios – where the song was originally recorded – to do it again. The song will benefit aid relief in Haiti. The long list of celebrities includes Bono, Jason Mraz, Akon, Wyclef Jean, Usher, Pink, Céline Dion, Natalie Cole, the Jonas Brothers, Tony Bennett, Barbra Streisand, Lil Wayne and many, many more. 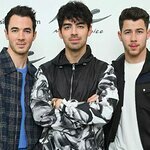 The song will air for the first time on February 12th on NBC. It’ll be shown during coverage of the opening ceremony of the Vancouver Winter Olympics. Richie and the late Michael Jackson wrote the song, and the original recording raised more than $30 million for USA for Africa.